These darling little roses are an inexpensive gift wrap accent; plus they are a great addition to a homemade wreath or table decor! 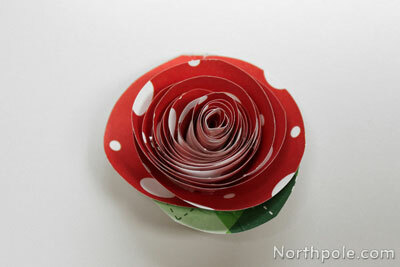 A 7" circle will yield a 1.75" rose, but you can create different sized roses by cutting larger or smaller circles. 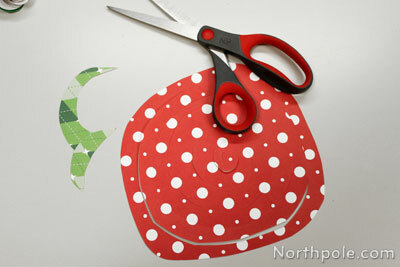 Cut out a circle about 6–7 inches in diameter. Freehand it, it does not need to be exact. Cut the circle into a spiral. The less perfect your spiral, the more unique petals you’ll have. 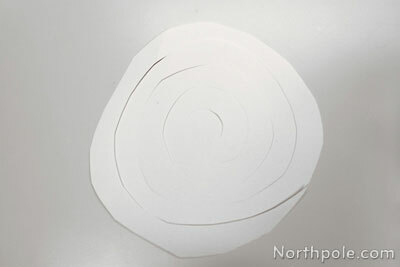 Starting from the outside of the spiral, begin rolling the paper. 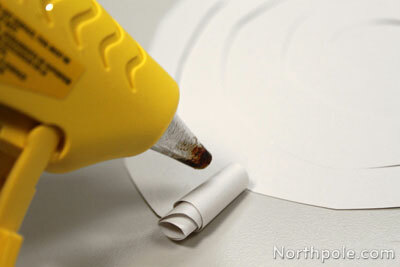 Use hot glue to secure as you roll the flower. 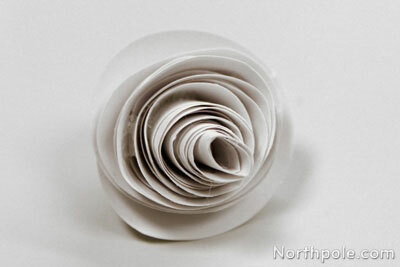 You may need to trim the end of the paper as you finish rolling the rose. 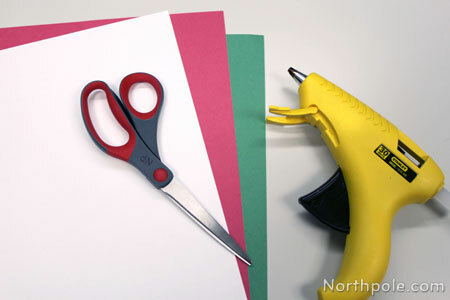 Cut arcs out of green paper (for leaves) and glue to flower. Trim, if necessary. 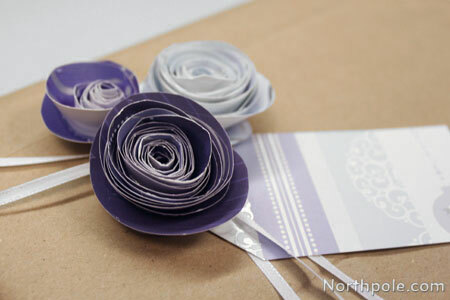 Use scrapbook paper for a unique look. 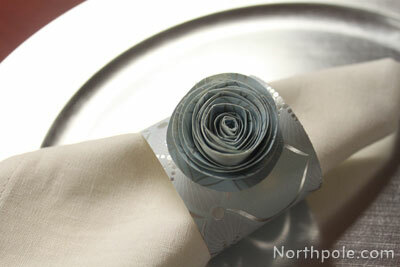 Attach the flower to napkin ring made from a strip of cardstock. 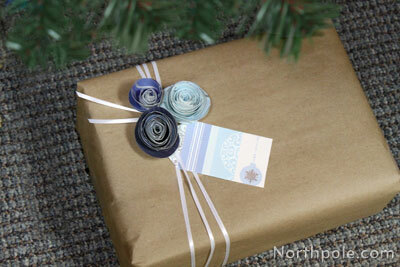 �Cluster several together and attach to a gift.